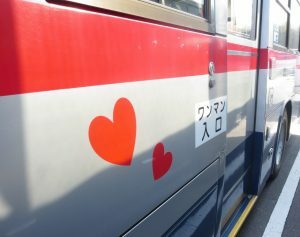 HOME > 最新情報 > スタッフブログ > Good-Luck Bus is running! 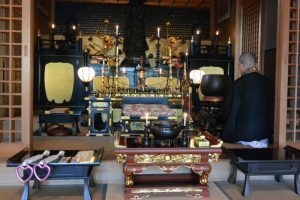 We will provide up-to-date information to everyone. We have two buses with special equipment. 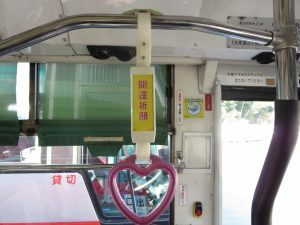 The straps of the bus are heart-shaped and heart-shaped stickers on the body side of the bus. 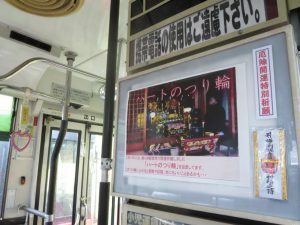 The buses will run until the end of March. Please find and take our Good-Luck bus!The buses may bring you good fortune.